Contact Us - Diliberto Plumbing and Heating, Inc. Contact Diliberto Plumbing & Heating, Inc.
Charles Diliberto Plumbing & Heating, Inc.
Have an emergency? Have a quick question about that gurgling noise coming from your garbage disposal? Call Charles Diliberto Plumbing and Heating, Inc. to schedule an appointment, ask us about our services, or get advice on a plumbing problem in your home or office. We will gladly assist you in all of your plumbing and heating needs. Our office is located in Norristown, but we services areas in parts of Chester and Montgomery Counties. If you’re on the go, send us an email and we will get back to you as soon as we can. 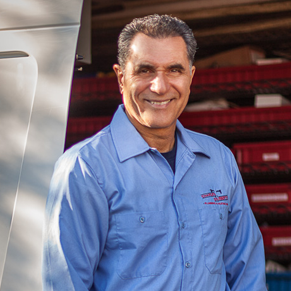 Diliberto Plumbing is dedicated to consistent customer service, so please don’t hesitate to reach out to us.